Kyle to Keys! My Hair is Growing! “Hi-My name is Kyle, I am 25…I have had Alopecia for almost my entire life, well actually the last 10 years-that is my entire adult life- I have had Alopecia-full body hair loss. I’ve used a number of different products to try to make my skin as healthy as it can be. I’ve had small growths during the summer months in which the hair on my head only would start to grow lets say only about 10% of total scalp coverage. I just want and feel compelled to let someone here at Keys know that since switching over and using the MetaClean and MetaCare products in the shower and right after every single day after every shower religiously I’ve probably got 70% scalp coverage growing thick dark hair—(not like little duck feather hair like I used to have little translucent things) I am talking colored real hair and I needed to let someone on your guys’ end know! As well, my entire body there is hair growth that’s dark over my body-so this is definitely a great product, great products for people with Alopecia. 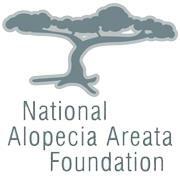 If someone on your end can let the NAAF know-the National Alopecia Areata Foundation know it would be excellent. I think these products need to be marketed and geared towards people with this disorder. Again my name is Kyle feel free to contact me at (telephone #) if you would like to speak with me personally. I mean your products are awesome. I rave about them and tell all of my friends about them, I just had to leave this voicemail. Of course, I was anxious to call Kyle back. I let him know how excited all of us at Keys were to hear about his hair growing back! I also sincerely thanked him for sharing his personal feedback. Kyle was grateful to talk with me, as he just wanted to share that he felt he had inadvertently found a miracle solution for his Alopecia. He quickly educated me about the fact that there are millions of people who have been diagnosed with Alopecia, an autoimmune condition that results in hair loss. He urged me to talk further with the National Alopecia Areata Association. www.naaf.org as he believes others can benefit from these KEYS products. I was curious to learn more about Kyle’s experience, so I asked him quite a few questions. Here is the rest of Kyle’s story, which Kyle has enthusiastically allowed me to share with you: Kyle was a diagnosed with Alopecia when he was a teenager and he was told that there was no cure. Kyle’s Dad wanted to be sure that his son had the best possible medical attention. Kyle was fortunate to be treated at the Cleveland Clinic’s main campus. His doctor at the Cleveland Clinic was Wilma Bergfeld MD, a top tier medical practitioner and researcher. 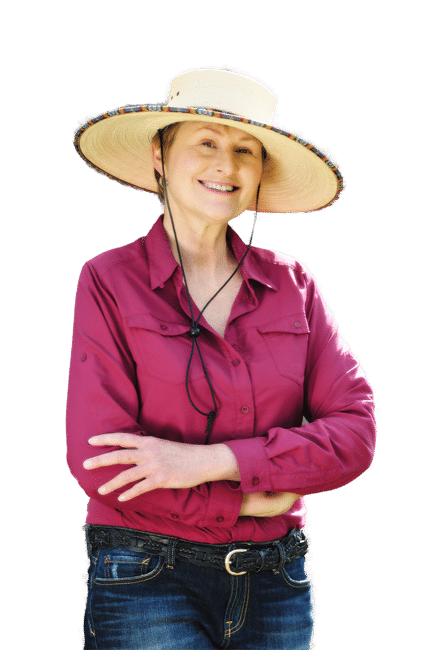 Kyle stated that Dr. Bergfeld is a renowned dermatologist whose specialty included Alopecia and hair disorders, thus she was known as “the hair lady”. When diagnosed Kyle was given and followed a number of prescribed medical protocols for his condition. Ultimately, the medical treatments did not work for him. Kyle explained that in the past he would experience slight but temporary small tufts of hair that would appear during the summer months but it would not amount to any tangible regrowth of hair. After experiencing the medical protocols for Alopecia that did not help him, Kyle decided to take a much different path. Kyle believed strongly that he could help himself by consciously stopping things that he thought were not helping him. He decided to focus on making choices to create powerful options in his own life. Kyle explained his journey had taken him on a quest, as a young adult, to find his own way to live a healthy and happy life without pharmaceutical drugs. Kyle adopted a health and wellness regime and he believed that his healthier lifestyle could positively impact his Alopecia condition. Kyle began making healthier choices after remembering being inspired by his own Grandpa Martin. Kyle’s Grandpa, who, after a cancer diagnosis, had been treated with both radiation and chemo, decided to end the chemo when it almost took his life. Kyle remembered his Grandpa making trips to a master herbalist doctor in Southern California. His Grandpa’s treatment plan instead focused on real food and making alternative choices that seemed to give him more powerful options. Thereafter, Kyle noticed his Grandpa’s vitality and health returned. Kyle remembered asking his Mom about all of the different colorful foods and drink concoctions that his Grandpa continually mixed up in the blender. Kyle admitted to me that even though he was too young to understand it all, he realized that his Grandpa’s actions were life changing and life affirming. Kyle talked about how much he enjoys using his Vitamix blender (built in Ohio!) to process and predigest healthier whole foods and how good that clean eating makes him feel. Concurrently with Kyle’s quest for internal cleansing he continually searched for the healthiest options for naturally cleaning his scalp and skin. As an Alopecia patient, Kyle learned from his doctor that preventing and controlling inflammation was very important. Kyle also learned the importance of keeping the pores on his skin open and how to increase blood flow to his skin. 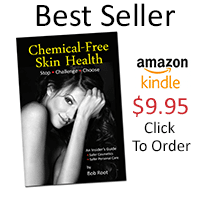 For many years, Kyle searched for the cleanest natural products he could find. What he kept looking for were products without chemical ingredients and preservatives. He began shopping at natural markets seeking out products that he hoped could make his skin as healthy as it could be. Kyle shops at Mustard Seed Market in Akron, Ohio. He studied the many personal care soaps and shampoos and then he picked up a bottle of KEYS MetaClean Natural Healing Shampoo & Soap with Neem and Karanja Oil. Kyle told me that he was immediately drawn to the fact that there were no preservatives or chemicals in Keys products. Excited to see this, he read the entire label and realized that he could also use MetaClean Shampoo & Soap head to toe! That convinced him to try it- one cleansing product in the shower-for his head and body! Kyle said that he decided on the spot to buy 3 bottles of MetaClean. He read on the label to try the soap with the companion MetaCare Lotion. Again he was so excited that he saw more of the same ingredients and no chemicals and he bought the lotion too. After showering, very lightly blot scalp and skin -do not dry! Kyle enthusiastically emphasized to me in our phone call that every day, every shower and after every shower he religiously used this regime of MetaClean Shampoo-Soap followed by MetaCare Lotion. Now, after 2 months Kyle was sharing his story with me. He is astounded and ecstatic about the results he is seeing—for the first time in his adult life Kyle is experiencing hair regrowth on his head, and all over his body. Most remarkable to Kyle is that the hair regrowth is thicker and with dark color and now 70% of his scalp is covered with dark hair! Kyle’s journey has been remarkable! Listening to Kyle explain his product application techniques that he learned at the Cleveland Clinic were very intriguing to me. I let Kyle know that the Neem and Karanja oils in both of our MetaClean Soap Shampoo and MetaCare Lotion have reported anti-inflammatory properties. It sounded to me like the repetitive highly focused technique that Kyle uses combined with using these Keys products contributed to his success. Kyle is ecstatic with the results. As you can tell from his voice mail message and his story he simply wanted to be sure that we knew it. Kyle also wanted us to let others know. So if you know someone who could benefit from this information, Kyle asks that you pass it along! At Keys we share in our customer’s excitement and enthusiasm in realizing life-changing results from using one or several of our products. Our customer’s feedback is powerful fuel for us to continue to produce chemical-free products with therapeutic ingredients and develop new products to resolve skin issues and make people feel good. Again, thank you Kyle for sharing your amazing story. We wish Kyle the best as he continues on his growing journey! From all of us at Keys, we are honored and happy to be a part of Kyle’s natural wellness story.